Anise Gallery is a contemporary art gallery with a strong focus towards the architectural aesthetic. Working with early to mid career artists in a wide range of media the gallery presents an exciting and diverse programme of exhibitions, events and talks that relate back to architecture, technology and the built environment. Anise Gallery was founded in 2012 by Jacquelyn Jubert and Joseph Robson in Shad Thames, South East London. Occupying the ground floor of the Anise Building, a former spice warehouse and the gallery’s namesake, the space is also home to AVR London and A-VR – Architectural Illustrators and Virtual Reality Specialists respectively. The 3 companies collaborate on many projects, strengthening and reinforcing the ethos and branding of each individually and as a whole. Anise Gallery’s first summer graduate show was held in 2012 shortly after its opening to great success and reward. Supporting, promoting and connecting with recent graduates from London art schools and those further afield has become a core part of the gallery’s programming. In a continual effort to expand the gallery experience a programme of talks and events runs alongside the exhibition programming. Participation in London’s main architectural events such as the London Festival of Architecture and Open House London has provided opportunities for further collaboration and a chance to contribute to the invaluable work of the Architecture in Schools Programme. 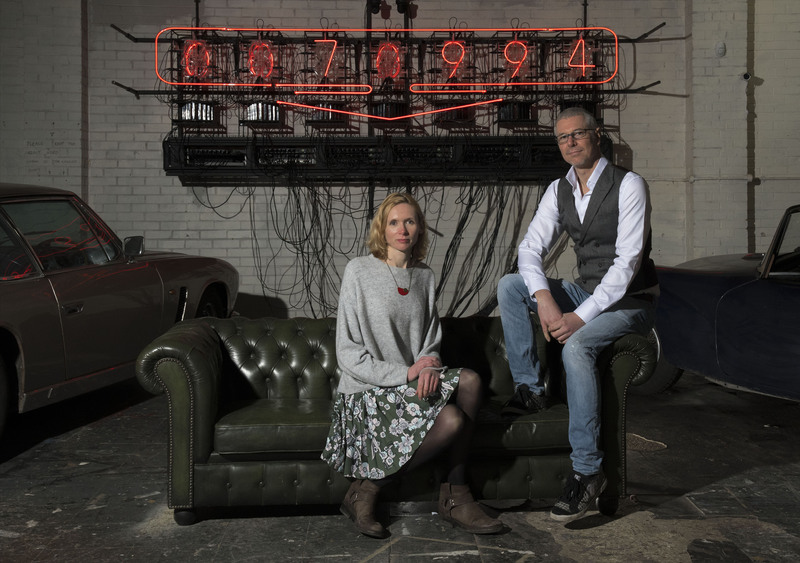 Jacquelyn established Anise Gallery in 2012 after the extensive renovation of the spice warehouse in Shad Thames and has exhibited a range of early- to mid-career artists in a range of forms from large-scale installation to virtual reality. Participating in London’s annual high profile architectural events such as the London Festival of Architecture and Open House London has firmly established the gallery within the art and architectural world. Anise Gallery’s annual Summer Graduate Show curated under Jacquelyn’s direction, provides a platform for graduates in London’s art scene. Prior to Anise Gallery Jacquelyn gained valuable knowledge into the industry through working for a variety of galleries in Surrey and London, including the Rebecca Hossack Gallery in Fitzrovia. She also spent 10 years as executive assistant to renowned architect Piers Gough which gave her the background, knowledge and passion for architecture which now forms the backbone of Anise Gallery’s ethos. Jacquelyn is a member of the Association of Women Art Dealers and a Fellow of the Royal Society of Arts. Joseph Robson studied architecture at the University of Bath before working at the Centre for Advanced Studies in Architecture (CASA) researching 3D modelling, virtual reality and historical reconstruction. His MPhil thesis ‘Computer Investigations into Renaissance Art and Architecture’ was published in 1996 and he is currently writing his doctoral thesis on the use of illustration within architecture. Joseph moved to London in 1998 to become Head of Computer Generated Images at Nicholas Grimshaw & Partners, where he worked on projects including the Eden Centre, St Botolph’s House and Bath Spa. He established AVR London in 2006 and has since worked with some of the world’s most celebrated architects. Joseph has had work exhibited at the RIBA, Royal Academy, Somerset House and the Sorbonne. Alongside running AVR London he is currently a Visiting Research Fellow at the University of Bath and lecturer on The Cities Programme at the London School of Economics, he is also a Fellow of the Society of Architectural Illustration where he has held the position of President since 2011. AVR London acquired the Anise warehouse in 2011 and Joseph’s input in artwork selection is key to the gallery’s ethos.